When it comes to fat, there’s a lot of confusion. Is fat bad for us? Good for us? What is fat? What are oils? Are they lipids? What is a lipid? Along with carbohydrates and proteins, fats make up the majority of our diet. The fats humans consume are known as triglycerides, which is a fancy way of saying they contain three fatty acids. Often, people will use the word “fat” specifically to refer to saturated (typically animal-sourced) fats that are solid at room temperature. Oils are the opposite and generally refer to as unsaturated (typically plant-sourced) fats that are liquid at room temperature. Lipids, on the other hand, is a vague term that includes many different molecules. Both fats and oils are within the lipid family, but so are waxes (like crayons) and various other chemical families that aren’t consumed by people. Using lipid when you specifically mean a fat or oil would be like saying “carnivore” when you specifically mean a cat. Yes, cats are carnivores, but so are crocodiles, snakes, and sharks, so saying carnivore is no guarantee that everyone will understand you mean a cat. Most fats (fatty acids) are nonessential. This means that our bodies have processes for creating them from other things in our diet. However, there are at least two essential fatty acids that mammals (including people!) cannot synthesize and must consume. 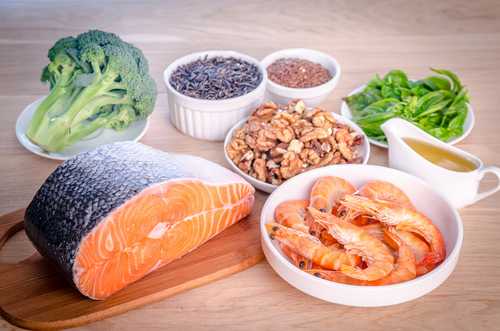 These fats are commonly referred to as omega-3 fatty acid and omega-6 fatty acid. Fortunately for us, other critters (like fish) and some plants are able to create these essential fatty acids, so we can just eat them. Fish and shellfish are a rich source of omega-3 and omega-6 fatty acid. But for the vegetarians, carefully choosing oils (including olive and canola), seeds (such as pumpkin or sunflower), leafy greens, and walnuts will get the job done too. Fats are an important source of energy for many animals including humans. Breast milk is rich in fat because it’s necessary for growing healthy brains, and as adults, we still need essential fats in order to be healthy. While too much fat may lead to weight gain, demonizing fats is not the way to combat obesity. If you want to learn more about health eat and taking care of your body, you should book time with a nutritionist. The experts at Health Risk can help you find the health coverage you need to stay informed and feeling your best. Call us today!